Being 2800 miles away from my friends and family that I love so much, it's not easy to maintain relationships but lately I've come to realize that if someone is supposed to be in your life, the two of you will find a way to make it happen. It doesn't mean you will talk every single day, but when you do, that little tingle in your chest that says "this person just gets me!" will make the distance seem unimportant. 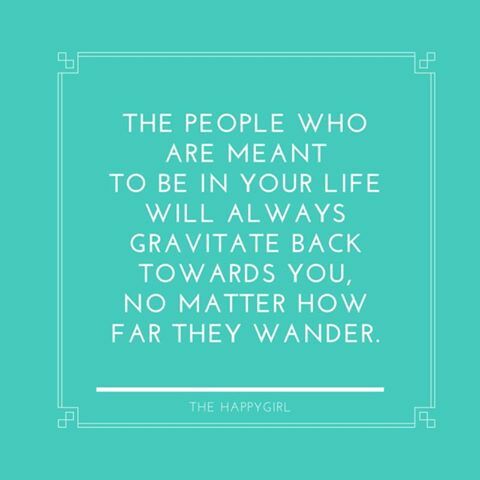 Two souls who get each other will always gravitate back to one another. Always.